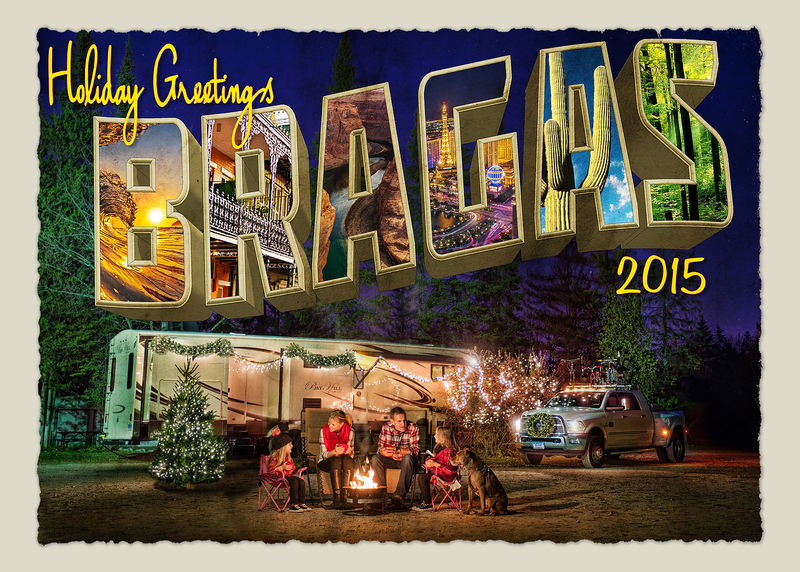 As almost all of the paper postcards have hit mailboxes across the US, we can now release the online version of the long-awaited 2015 Braga Holiday Card! Influenced by the iconic vintage vacation postcards that oncelittered mailboxes everywhere; we found it fitting to create our card in the same style. The core elements to this photo were captured in Shelburne Vermont after we were done our filming for the TV show episode we were cast in. Scroll down for the past 10 years worth of cards. 2012 Inside Spread. Our actual Christmas Village was photographed here.